This business really started out accidentally. Every year I would make batches and batches of cookies to have for Christmas, that I would slowly put out for the family to enjoy. I would also bake them for weddings for friends and family, and my children would always ask me to make them throughout the year to have at home. One day when baking for a family wedding I sent a few dozen to my daughter in New York. She brought them in to work and as they say the rest is history! For the first time in my life I honestly enjoy working. Baking is such a delight for me and I hope you will try my cookies and taste the love and hard work that I put into every single batch. 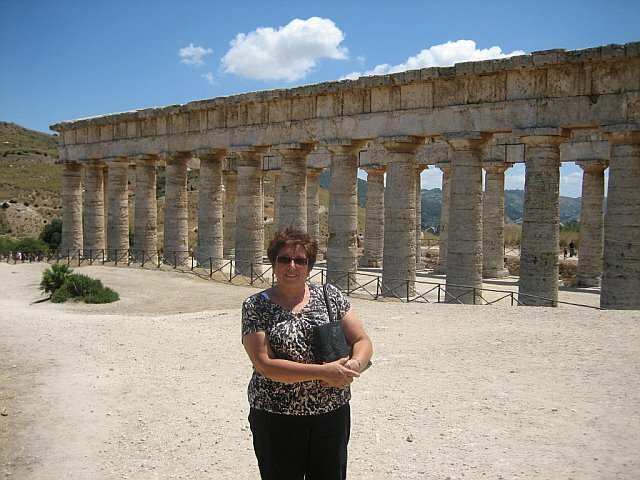 In Segesta during a research trip to Sicily in 2012.